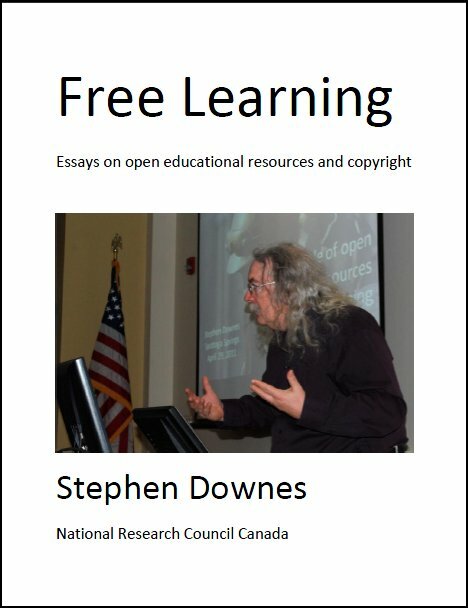 I think that the answer to the question of "why open educational resources (OER) haven't caught on" is in the last paragraph of this article: "will we ever get to a Wikipedia-type model of teaching resources, with teachers freely giving and taking textbooks, lesson plans, and tests, refining and improving them, and sharing their improvements?" My thinking here is that so long as you think of OERs as teaching resources, they're never going to work. They should be thought of as learning resources. Encourage students to find them, share them, and make them (that was one of the core ideas behind the first MOOC and it was co-opted out of existence). Maybe we need a new concept. I'll go out on a limb and give it a name - OERSS. Open Educational Rersource - Student Sharing. Or Open Educational RSS. Take your pick. It's open resources found, created, used and shared by students. The real open educational resources. Last Updated: Aug 20, 2018 3:10 p.m.